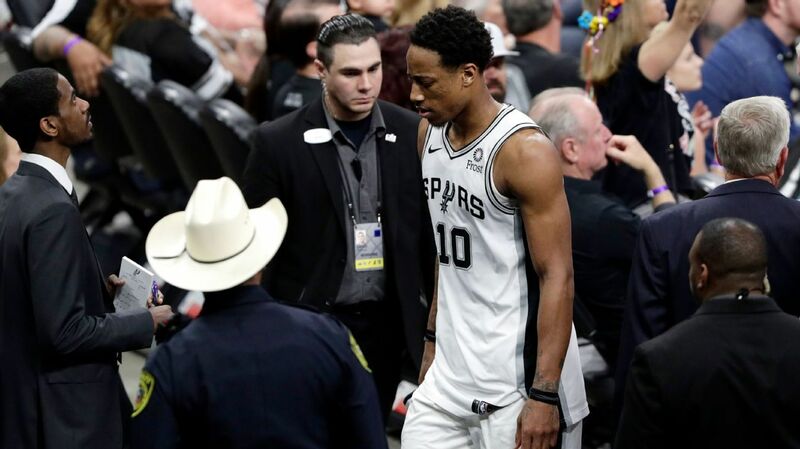 OKLAHOMA CITY — As the crowd showered him with a raucous standing ovation, Russell Westbrook turned to the Portland Trail Blazers bench and gave a little wink. A drive and kick to set Paul George up for a 3 made NBA history: A 10th consecutive triple-double, breaking Wilt Chamberlain‘s mark of nine straight set in 1968. It looked like a long shot for Westbrook, needing five assists in the final eight minutes, but with a quick flurry of setups, he was up to nine with four minutes to go. On a pick-and-pop with George, Westbrook hit his All-Star teammate in rhythm, and the rest was, well, history as the Thunder topped Portland 120-111. The triple-doubles didn’t end there, though. 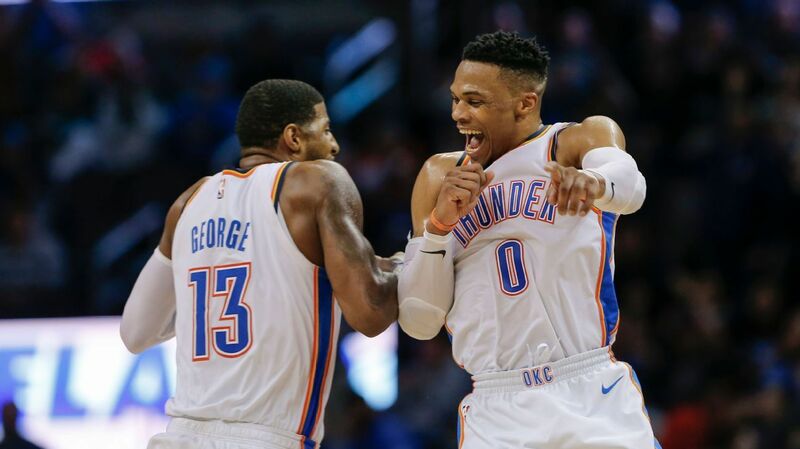 Westbrook returned the favor a few minutes later, hitting a deep 3 set up by George, giving him his third career triple-double with 47 points, 12 rebounds and 10 assists, featuring 15-of-26 shooting and 8-of-13 from 3. It’s the second time this season teammates have recorded triple-doubles in the same game (LeBron James and Lonzo Ball) and the ninth time in NBA history. Westbrook finished with 18 points, 14 rebounds and 11 assists in 37 minutes. It’s his league-leading 23rd triple-double of the season. He had two previous streaks of seven straight triple-doubles — both in his MVP-winning 2016-17 season — but finally passed Michael Jordan and himself last week, then caught Chamberlain on Saturday against the Rockets, before setting the new mark on Monday.